Do you want to see the high mountain like Mt. Everest in just a few minutes? If you want to see that we suggest doing Everest Base Camp Helicopter Tour. This tour started from Kathmandu and end on Kathmandu. This flight fly over the alpine hills and the high mountain of the Khumbu region of Nepal. In an hour you will in a position to fulfill your quest to be over the tallest mountain of the world Mt. Everest (8848m). The refreshing air, wild environment and highest mountain all around the sky, Everest Helicopter tour is a truly supernatural experience of the Nepal Everest. That three hour is of a supernatural experience will take you near the most beautiful mountain of the world like Mt. Everest (8848m), Mt.Lhotse (8516m), Mt. Ama Dablam (6812m), Mt. Cho yu (8201m), etc. 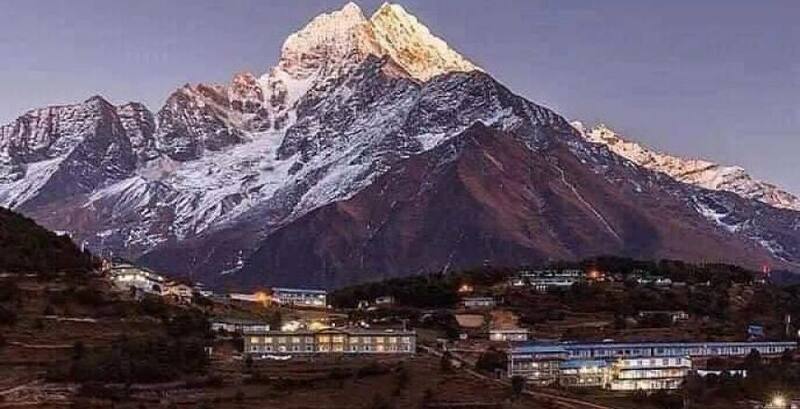 Tenzing Hilly Airport, unreachable alpine hills of Khumbu region, and all over of the Sagarmatha National Park which is listed on UNESCO world heritage site. Mt. Everest which is highest point of the world. You can be evaluate easily without any walks or worries of high altitude sickness of the mountain. We will provide the luxurious flight for your day tour. You will feel mysterious experience on the Everest Heli Tours. 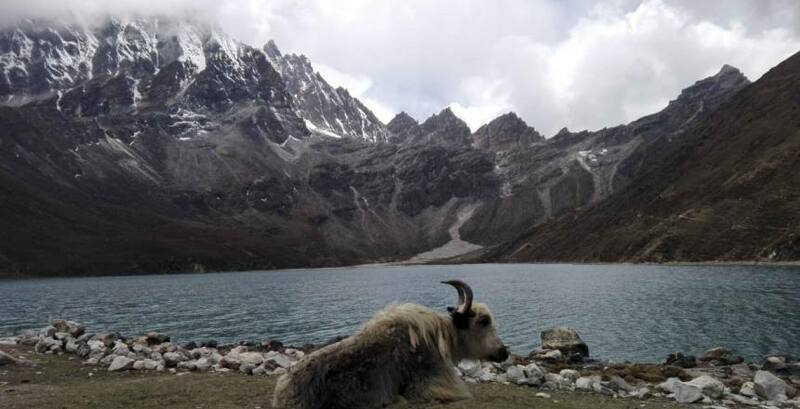 You can see The Khumbu Glacier which is the largest glacier of Nepal and goko Lake is a look like a dream. So that a lifetime memory in your life. Everest helicopter tour is starting from the Kathmandu and then passes through Khumbu Region which has a beautiful green valley. then you can landed on Lukla for a few minutes due to fueling. 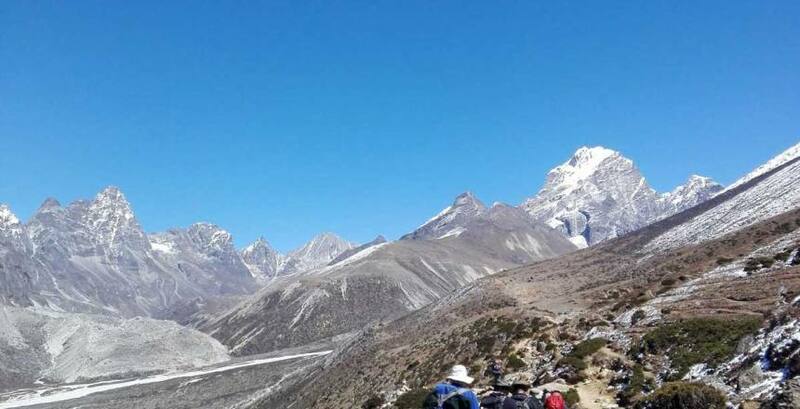 And then passes through high hill and then you reach over the Khumbu glacier and near the high mountain of the Everest region like Mt Everest, Mt Amadamlam. Mt cho oyu and Many more. then you will be landed on the Kalapatther (5545m) for the view and after 10-15 min you will fly back to Everest view hotel (near Syagoche (3780M).) for breakfast. When finished breakfast with Everest view on the background fly back to Lukla and then Kathmandu. So, fly to Everest region of Nepal Everest helicopter tour is a one of the option to get high mountain green valley of Sagarmatha National Park and High altitude lake. 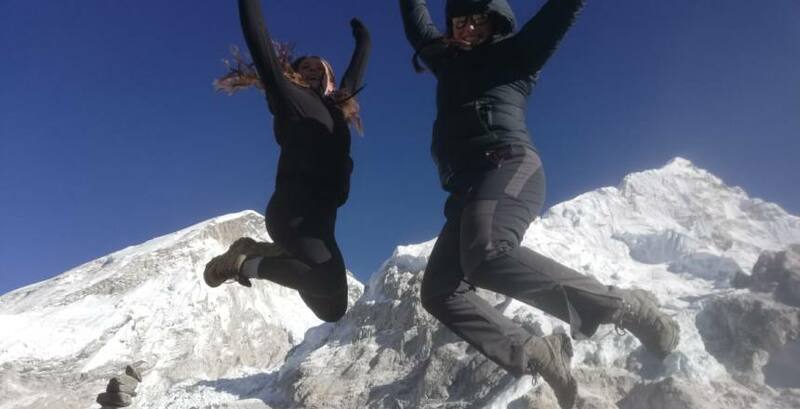 Everest Helicopter tours is a best who isn’t able to do the trek in the mountain and Who have no time for doing trekking. 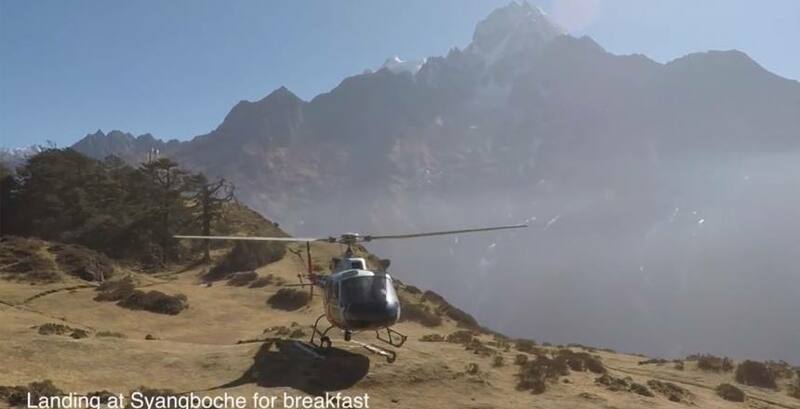 Nepal Hiking Adventure offers Everest helicopter tour for the our client. Fly near to the highest mountain in the world like Mt. Everest, Cho Oyu, Amadablam etc. Reach on the Kalapatther which is the most popular viewpoint of the Everest Region. Enjoy close up view of the high mountain upto the 6000m to 8848m high. Nice view of Everest base Camp, Khumbu Glacier, and snow mountain. Breakfast at Syagboche (Everest View hotel ) with Mt Everest on Background. Duration: 4-5 hours from Kathmandu to Kathmandu. route of Flight: Kathmandu - Lukla- Kala Patthar-Everest View Hotel(syagboche)-Lukla-Kathmandu. Tour Grade: Easy, Flight Day Tour. Drop to airport from your hotel and flight to Lukla from Kathmandu(40 min flight from Kathmandu ). you can see the East northern part of Nepal with alpine green valley with the white mountain of Everest Mountain range. And then landing to Tenzing Hilly Airport after fueling Flight to Kala Patthar. Flight to Kalapatther from Lukla (25 min flight on Helicopter) on the way you can see the high mountain of the Everest range which includes Mt. everest (8848m), Mt. Amadablam, Mt. Cho oyu, Mt. Lotshe, Mt. Pumori and more high mountains over 8000m High. and flight over the Khumbu glacier and Everest Base Camp then landing on the Kalapatther which is Most popular Viewpoint of Everest region. Flight to Syangboche(3780m) From Kala Patthar(15 Minute flight ) and then Breakfast at Everest View Hotel with Mt. Everest View on the Background After finished Breakfast then flight back to Lukla. Flight back to kathmandu From Lukla(45min Flight ) and then Transter to the hotel from the Trivuban Internaitonal Airport. For Booked your trip please contract us.